Edit your PDFs anywhere you are! Sign contracts, scribble notes and highlights, make changes, fill out applications, and more. 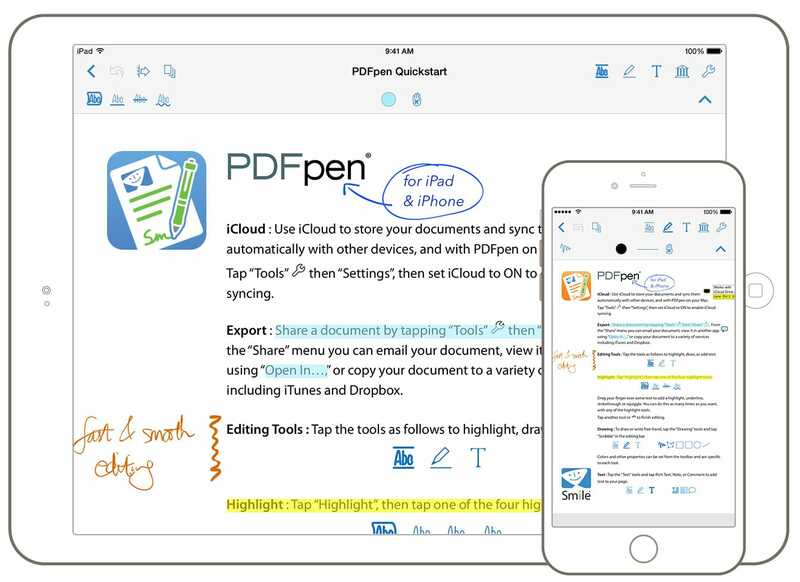 Whether you’re in an airport terminal or a client’s office, edit your PDFs with PDFpen on your iPad and iPhone. Retrieve and save your PDFs with services like iCloud Drive, Dropbox, Evernote, and Google Docs using the iOS Files interface. Enjoy easy document exchange with colleagues, friends — and even yourself! Whether scribbling notes, calling out text with highlights, or signing off on a document, draw securely with palm/wrist protection. By using the iOS Files interface your PDFs stored where you want and edited in place, on iCloud Drive, Dropbox, Google Drive, Microsoft OneNote, and other Files-compatible apps. 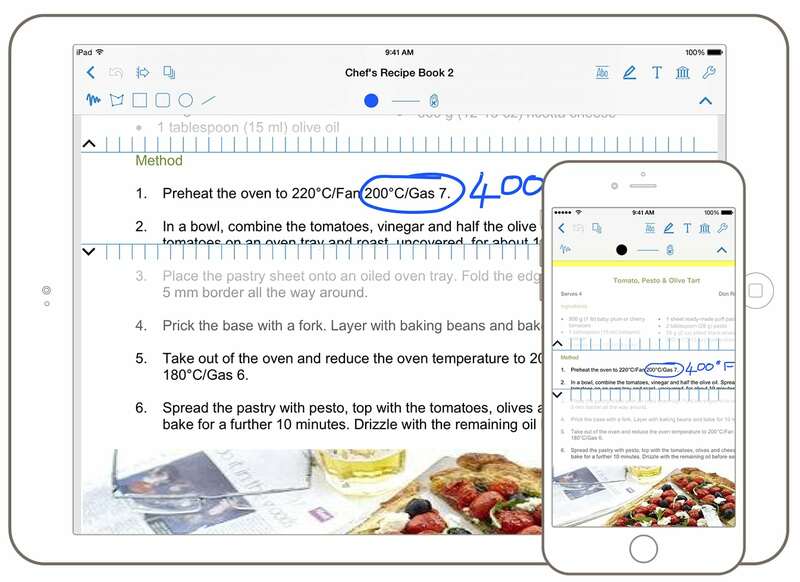 It doesn’t matter if it’s your Mac or your iPad in front of you – your PDFs are there! 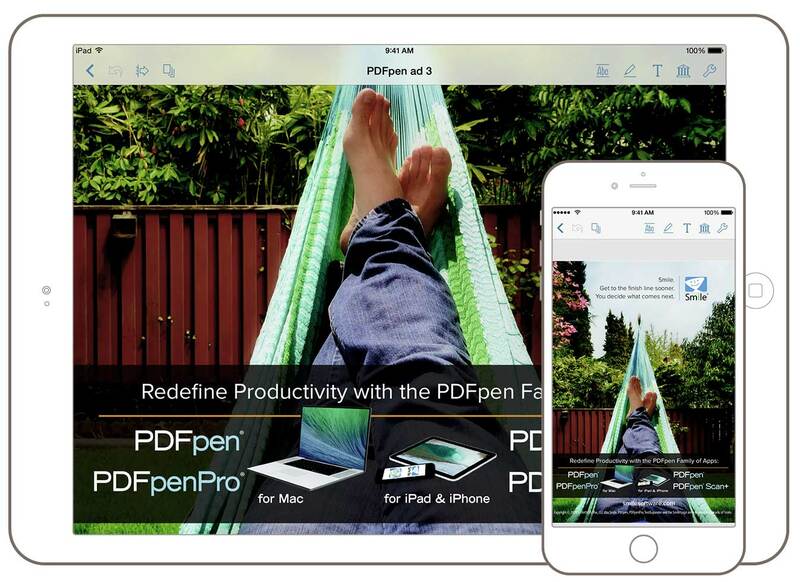 PDFpen for Mac and for iPad and iPhone make an unbeatable combination! Need quick turnaround for important PDFs such as job applications or leases? 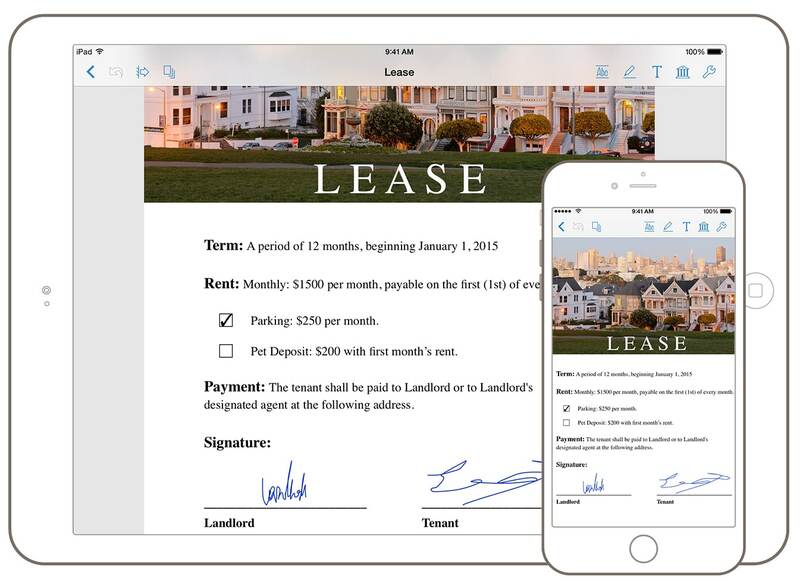 Get them, fill them out, sign them, and email them back right from your iPad or iPhone.